Set amidst the arid plains that form the border between Portugal and Spain is the uniquely well-preserved historic frontier town of Elvas. A mere 12km (7 miles) from the Spanish border and just across the river Guadiana from the city of Badajoz Elvas was once of great strategic importance. As such the town's fortifications grew to become both impressive and effective. 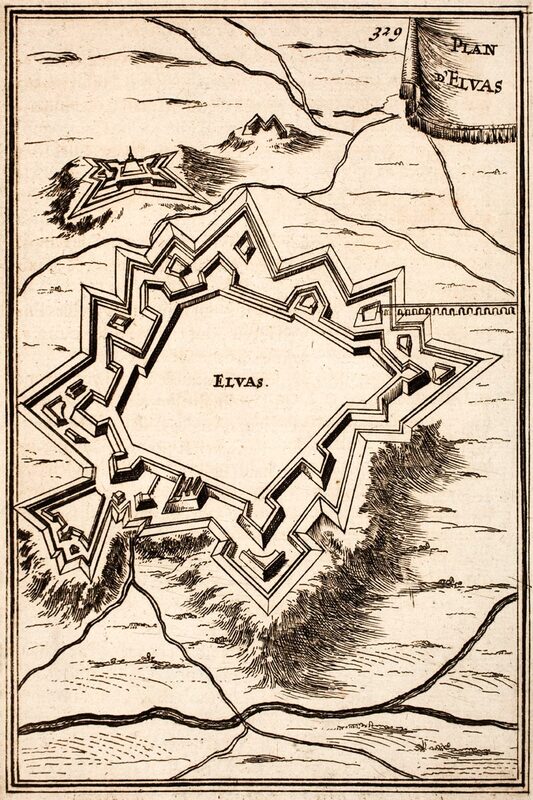 Today, Elvas' iconic star-shaped defensive walls and a number of similarly important outlying forts have earned the town UNESCO World Heritage status. Elvas' military significance has long waned and until relatively recently this remote town, deep in Portugal's interior was largely off the tourist radar. However, given its ascendance to the UNESCO list and picture postcard appeals it is beginning to attract visitors from both the Portuguese and Spanish side of the border. 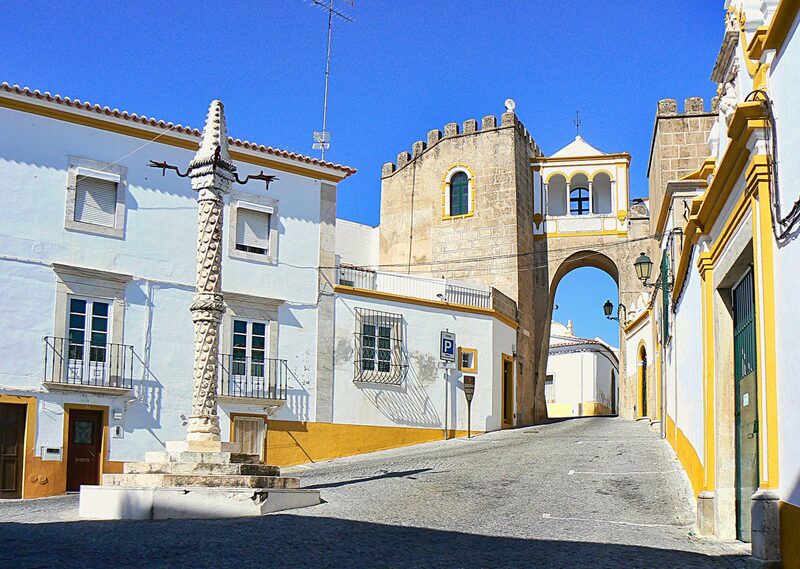 The majority of Elvas' fortifications date back to the 17th century and the War of Restoration in which Portugal fought for its independence from Spain. Not only do the angular walls provide a striking aerial outline they are based on sound military principles. The jutting, angular ramparts allowed the walls to be defended from any angle. Should the outer walls have been breached at any point the attacker would have to negotiate a complex array of moats, hidden passages and further walls before even reaching the original inner walls. Much of this fortification was overseen by the Dutch Jesuit Padre Cosmander who implemented the principles of French military architect, the Marquis de Vauban. The design proved very effective with the town virtually impregnable to the Spanish who attempted to take it in 1644, 1659, 1711 and 1801. The second of these altercations was the Battle of the Lines of Elvas in which the disease-weakened garrison decimated a Spanish force of 15,000 men. Some years later, during the Peninsular Wars, the town served as a base for the Duke of Wellington to launch a victorious attack against Badajoz. On hilltops beyond the town walls are two further satellite forts. A little to the north stands the now abandoned 18th century Forte de Graca (closed to the public), while immediately south of Elvas is the wonderfully restored Forte de Santa Luzia. 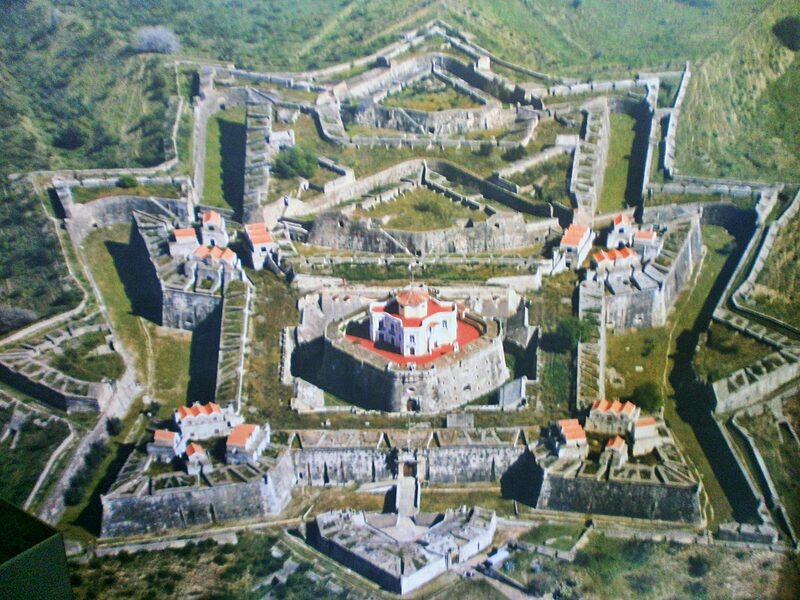 Also included in the World Heritage status this star-shaped fort was built in 1687. During the Salazar dictatorship the fort was used as a political prison. Today it houses a military museum. Predating all other fortifications in Elvas is the castle. As usual it was the Romans who first realised the strategic location of the town. It subsequently fell into the hands of the Moors who ruled here for 500 years. The Romano-Moorish castle was much remodelled in the 15th century under King Joao II and this is what you see today. There is a small entrance fee to access the castle but once inside you can climb the battlements which provide splendid views of the town's fortifications below and beyond. Obviously Elvas' military past is what has defined the town but it has many charms beyond this. Within those walls is a jumble of whitewashed villas and cottages with cobbled streets winding between some lovely little squares. At the heart of the town is the Praça da República. 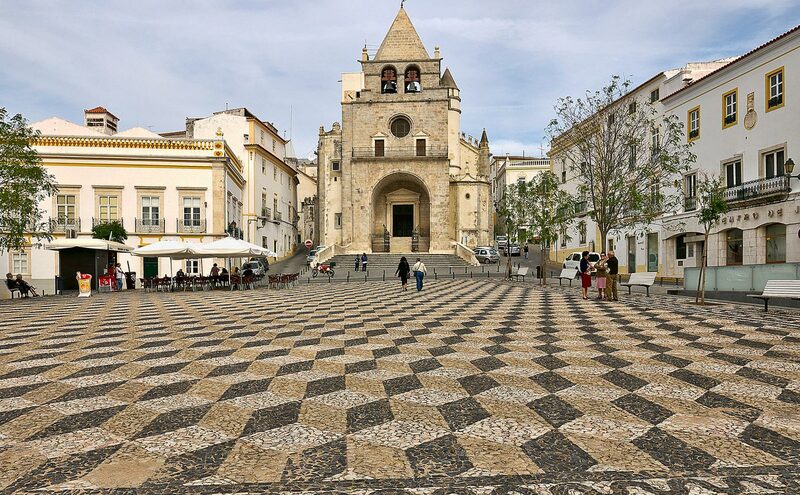 Lined with shops and cafes this handsomely tiled square is dominated by the former cathedral of Elvas, the Igreja de Nossa Senhora da Assunção. Dating back to the 16th century this church was designed by Francisco de Arruda, whose other works include Elvas' incredible aqueduct. Unfortunately many of the church's original features have been lost but the Manueline south portal and some fine 17th century azulejos remain. Perhaps the honour of Elvas' prettiest square goes to the cobbled Largo de Santa Clara which clings to the slopes leading up to the castle. At the head of the triangular square is a 10th century Moorish gate (Porta da Alcáçova) whilst the centre is dominated by the 16th century Manueline "pelourinho" or pillory. If you look closely you can still see the four iron ornate hooks where local deviants were chained as punishment. At the foot of the Largo de Santa Clara is a building that's austere exterior gives little clue as to what it is and what is inside. It is in fact the 16th century Igreja de Nossa Senhora da Consolação and the plain exterior gives no indication as to the opulence which lies within. Marble columns and spectacular floor to domed-ceiling azulejos adorn the eight walls of this octagonal chapel. It is suggested that the shape of the church is a nod to the Knights Templar who once had a chapel nearby. 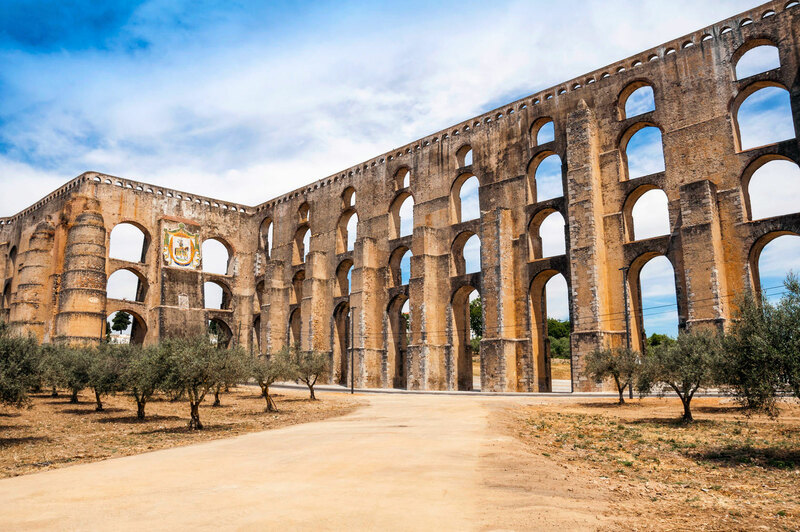 Along with Elvas' fortifications the huge 16th century Amoreira Aqueduct can't fail to impress. Situated at the entrance to the town this huge structure stretches for over 7Km (4.5 miles) with sections towering 30 metres (100ft) above the ground featuring stone arches stacked five high. The aqueduct was built to carry water from the spring at Amoeira into the town, a distance of 8Km (5 miles). This was needed as the town was relying on one well, the Poço de Alcalá which had begun to fail in the late 15th century. It took over 100 years to complete the aqueduct and unsurprisingly the ambitious project met with an array of technical problems. But in the end the incredible structure, with its 843 arches, was completed and successfully fed an underground cistern in the town. Over the years improvements were made to the system and fortifications added to make the town even more siege-proof. Although today Elvas' water does not come via the aqueduct the system still feeds the fountain in the Largo da Misericórdia.